In almost every region of the country, having a working HVAC unit is critical to maintaining not only comfort but in some cases, a safe and healthy indoor environment. This is because these units help to maintain a more constant internal temperature and humidity. These factors can also affect the amount of maintenance that must be performed in order keep a home from falling into a state of disrepair through weathering. Therefore, staying a step ahead of your HVAC unit can actually save money on several fronts. The first key to this is ensuring proper maintenance is performed on the unit at regular intervals. This maintenance includes cleaning and/or replacing the filter on the return air side monthly. This filter is most often found in the return air vent for residential units. If not located there, the filter will be found in the furnace closet and placed between the return air intake and the furnace portion of the unit. 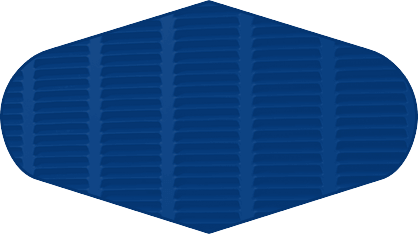 Commercial units often require multiple filters that must be installed inside the unit, often located on the roof of a business. A technician should also check the unit at least twice a year and clean the furnace and AC coil. This cleaning will help to eliminate the danger of electrical problems that develop when dust, animals, or other contaminants create short circuits by being caught inside the units. Gas flow to furnaces, the status of pilot lights, and proper refrigerant levels are also checked. In addition to maintenance on the unit itself, it is important to have the ductwork checked periodically to ensure that no joints have come apart to create leaks. Broken ducts can cause a unit to have to work much harder to achieve the proper temperatures inside a home or business. This will result in higher utility bills as well as excessive wear on moving parts within the unit. Another key step that should be taken on at least an annual basis is having the interior of all ducts cleaned and the insulation checked. Dust, allergens, and other contaminants can get into the system in a number of ways despite everyone’s best efforts to keep it a closed system. These contaminants can accumulate inside ducts and hide in cracks or crannies in the insulation. This can shorten the life of the insulation inside the ducts that keeps the air from being cooled or heated by the air outside the ducts. It can also provide a place for molds to grow and produce sports that are then spread throughout the home or business, many of which can lead to health problems for occupants. Proper maintenance can significantly lengthen the lifespan of any HVAC unit. In addition, maintenance will help to ensure that the unit is running as efficiently as possible, which will result in savings on utilities. This will have a major impact on the value of the unit as an investment. Maintaining proper temperature and humidity controls will also lengthen the life of a home or commercial building and reduce maintenance requirements of a more drastic nature. This is why home and business owners always want to stay one step ahead of a breakdown in their HVAC systems.